Dubai: Nasdaq Dubai has launched trading on the MSCI UAE Index, expanding its futures market offerings. The index comprises 11 companies that are among the largest and most liquid in the UAE. They include DP World, Emaar Properties and First Abu Dhabi Bank. 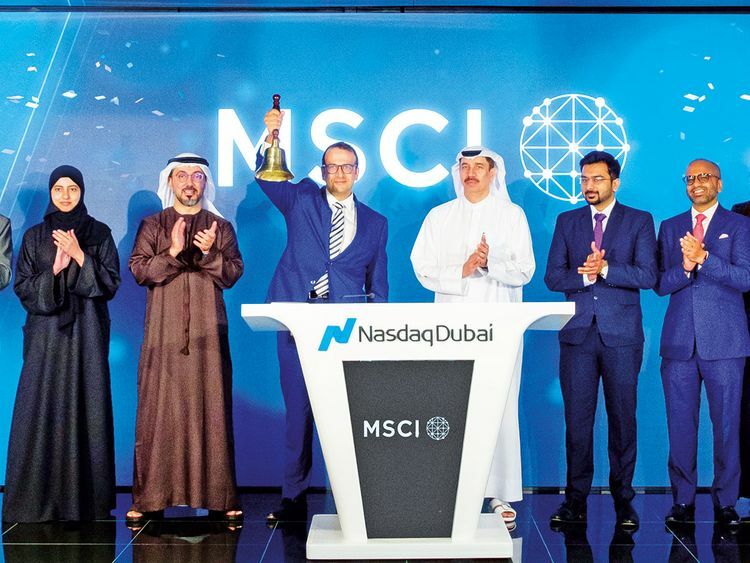 The introduction of the MSCI UAE Index futures comes one week after Nasdaq Dubai launched single stock futures trading on 12 Saudi Arabian companies. “This agreement will allow a wide range of international and regional investors to access Nasdaq Dubai contracts on the MSCI United Arab Emirates equity index,” Robert Ansari, MSCI’s executive director and Middle East head, said. More than $11 trillion (Dh40.4 trillion) in assets under management is estimated as benchmarked to MSCI’s indices worldwide. Nasdaq Dubai’s derivatives market opened in 2016 and also comprises single stock futures on 29 leading UAE-listed and Saudi-listed companies, as well as futures on the DFM general index and the Abu Dhabi Securities Exchange (ADX) general index. Nasdaq Dubai is preparing to add a range of further regional equity futures and options.